Billy Fisher feels trapped by his working-class parents, his unfulfilling job as an undertaker’s clerk, and his life in a dull, provincial town. His only refuge is in his daydreams, where he is the leader of the country of Ambrosia. 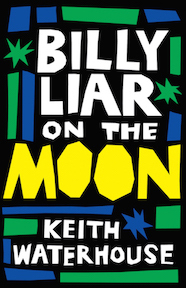 Unfortunately, Billy’s wild imagination leads him to tell lies constantly: to his parents, his employer, and his three girlfriends. On one tragi-comic Saturday, as Billy plots his escape to a life of adventure and excitement in London, all his lies finally catch up with him, with hilarious and disastrous results. A smash bestseller and one of the great comic novels of the 20th century, Billy Liar (1959) inspired an award-winning film, a play, a musical, a television series, and a sequel. This edition marks the novel’s first publication in America in more than fifty years and includes a new introduction by Nick Bentley and a reproduction of the original jacket art by William Belcher. Keith Waterhouse was born in 1929 in Leeds. He left school at 14 and worked as a cobbler’s assistant and then an undertaker’s clerk before getting a job in 1950 as a junior reporter for the Yorkshire Evening Post. Waterhouse would remain active in journalism for the rest of his life, but also began a second career, writing fiction in his spare time. 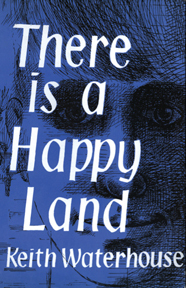 His first novel, There is a Happy Land, was published in 1957 and drew on his childhood growing up in poverty on a council estate. His second novel, Billy Liar (1959), was a major success, winning critical acclaim and becoming a bestseller; it is now considered a modern classic. With his friend Willis Hall, Waterhouse adapted Billy Liar for the stage and later wrote the screenplay for a 1963 film adaptation, which many believe is one of the best British films ever made. The novel also inspired a musical, a television series, and a sequel, Billy Liar on the Moon (1975). Waterhouse continued to collaborate with Willis Hall over the next twenty-five years, writing numerous plays and television scripts, and also wrote plays on his own, including Jeffrey Bernard is Unwell, a major success when it opened in 1989 with Peter O’Toole in the starring role. 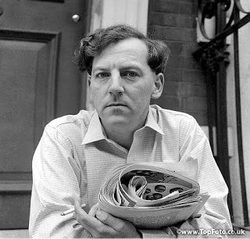 Waterhouse’s prolific output includes numerous well-received comic novels, including Jubb (1963), Office Life (1978) and Bimbo (1990), as well as two volumes of memoirs, City Lights (1994) and Streets Ahead (1995). He was also very well known for his writings on English language and usage and for his columns in the Daily Mirror and Daily Mail. He was appointed CBE in 1991 and was elected a Fellow of the Royal Society of Literature. He died in 2009.